Many elements dovetail together in order to create the interior climate and the comfort of your home. Does your home have the recommended volume of both exterior wall and attic insulation? The volume and R-value of residential insulation is the jumping off point for the energy efficiency of your home. Have you sprayed radiant barrier paint or installed foil in your attic? Have you checked your windows and doors for efficient weather stripping? These are just a few things that affect how hard your home heating system has to labor to stay at the desired thermostat setting. The different components of devices that comprise your heater generally depend on the homes geographical location. In areas where winters are mild and the neighborhoods arent too old, a natural gas or electric furnace is what you might expect to find. In areas where harder freezes are common, boilers, radiators, and baseboard heaters are more likely to be found. The Heat Production Unit: A burner fueled by natural gas, electricity, or oil. This is the primary component of the system. The Heat Exchanger: Either a furnace that heats air, or a boiler that heats water. The Heat Distributor: If you have a furnace, youll recognize this as the system of ducts that directs heated air throughout your home. Also included are the registers (also known as diffusers or vents). These are attached to your floors or your ceilings. If you have a boiler, pipes and radiators make up the physical system that circulates hot water, generating radiant heat. The Temperature Controller: Youll recognize this as your heating and cooling systems interface. Its almost always a thermostat, analog or digital. In many cases, a humidistat is included to regulate moisture in the air. When problems raise their ugly heads, always troubleshoot the thermostat first. Are You Experiencing a Heating Problem? Its usually easy to spot any time theres is a heater malfunction. Is your blower starting up and quitting too frequently? Do you hear unusual sounds emanating from the vents or any of your other basic units? Is your utility bill way out of the expected range for an average winter? As I wrote above, troubleshoot your thermostat if your equipment short-cycles, or if the set temperature isnt reached, or if zero heat is perceived even although the air or water is circulating, or if your heater doesnt shut down when it should. A lot of these issues are owner-doable fixes. Its an energy-saving idea to install a 7-day programmable thermostat. Its a great strategy to rein in your utility bills. With an air distribution-type system, an electric heating element or a gas or an oil-fueled burner is installed to warm up the air inside your furnace when your thermostat signals that a lower threshold temperature has been achieved. 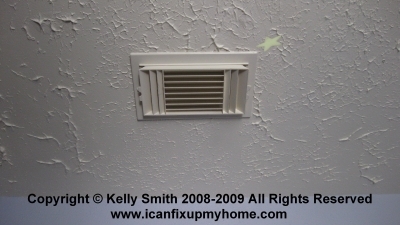 Next, your blower starts to circulate the heated air throughout your ductwork. Smaller branch ducts (usually insulated flex) diverge from your central duct trunk. They lead to the registers in individual rooms throughout your home. In order to complete the circuit, your return air duct returns cooler air back to the furnace again to be reheated and redistributed. Its critical to maintain a clean filter at the return air interface to avoid contamination and overworking of the heater. Your blower and furnace return to the off mode once your thermostat determines that the high threshold temperature setting has been attained. A water distribution system is like the air system, with these differences. Instead of using a blower, a water circulating pump pushes heated water through plumbing pipes throughout the rooms of your house. Every room has one or more radiators, depending on the rooms size and use. As heated water makes its way through the connected radiators, it gives off radiant heat. A return main water pipe brings cooler water back to the furnace again for reheating. Whether you are using an air or water distribution system, a yearly heating system check-up needs to be performed for preventative maintenance. If youre not comfortable doing the work, find a licensed professional in your area. Get 3 Free Heating Estimates Now!